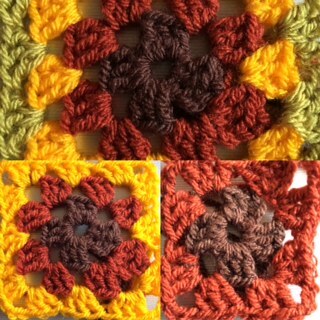 Never say ‘Never’, but the chances of me making a blanket with Granny Squares are pretty slim! However, they are fun, and a useful way of seeing if colours work together. These were try-outs for my sunflower blanket. 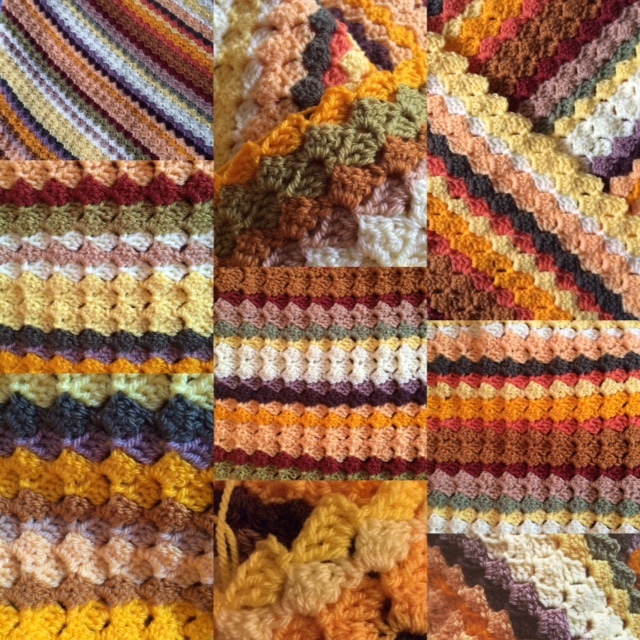 The throw is now finished and you can find out more on this page.